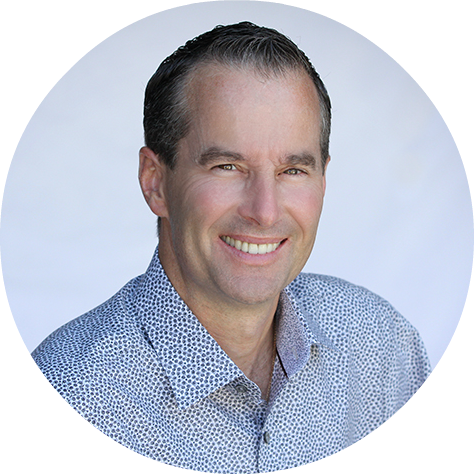 As an accomplished College Professor, Marriage and Family Therapist, Ordained Minister and sought after parenting coach, Steve brings enormous expertise, insight, and energy to his presentations. 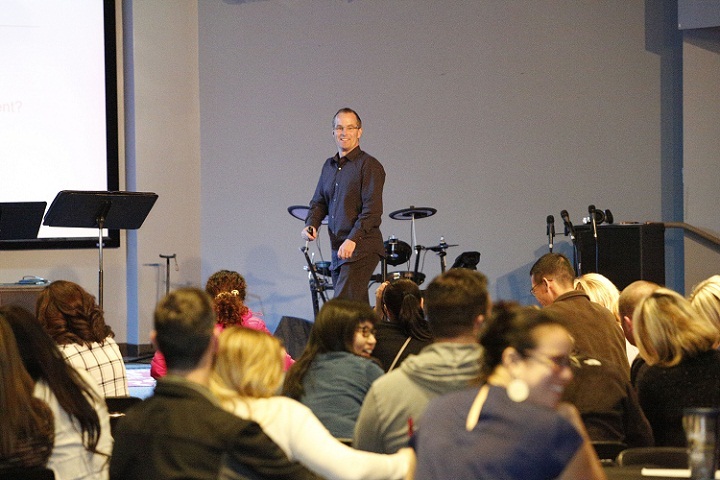 In the years that Steve has been a speaker and consultant, he has delivered powerful messages that are rich with humor, insightful stories, and fun exercises. In every talk, Steve draws upon his love for research, his personal wisdom, and his acclaimed In Touch Method™ to help your audience gain fresh ideas and new perspective so they can calm the chaos, raise emotionally intelligent kids, and nurture families (and classrooms) that thrive. Since Steve fathers two rambunctious boys with his wife of 24 years, he understands the challenge of raising children in today’s complex world. Whether you’re trying to book a seminar for parents with toddlers, preschoolers, or grade-schoolers, your group will get an insider’s perspective on how to manage children with more confidence and less effort! Misbehavior vs. Stress-Behavior: How to Handle Both With More Confidence and Less Effort. Why do children whine, backtalk, or fail to listen? Is something wrong? Do they “choose” to act that way? Or, is their stress load too high as studies suggest. By attending this seminar, you’ll recognize the difference between your child’s misbehavior and stress-induced behaviors, and how best to handle both without thinking too hard. Studies on effective parenting practices suggest that if you want your parenting style to be kind and firm or demanding and responsive, it’s mission-critical that you get the clarity and confidence you need so you can accomplish that goal. Of course, having some accurate knowledge and guidance can really help. But the critical question is, “Where to start?” This seminar not only shows where to start but focuses how to become and remain an effective parent—and do it without thinking too hard! Ever wonder what it takes to become and remain a highly effective teacher? Relax. This session will show you how to master the five major tasks you face each day in the classroom. With these five basic skills at your fingertips, you’ll provide the best opportunities for you and your students to thrive. By attending, you’ll reduce your stress, focus your energy, simplify your decisions, and increase the connection with your students. With the challenges that pre-school teachers face each day, effective classroom management is vital to inspiring a child’s mind and spirit—far to vital to be left to chance. This session supplies you with new tools to fine-tune how to think about, influence, and relate to your students more effectively. Whether you are a novice or an old pro, you’ll gain fresh ideas, new perspectives and renewed confidence to transform your classroom environment. 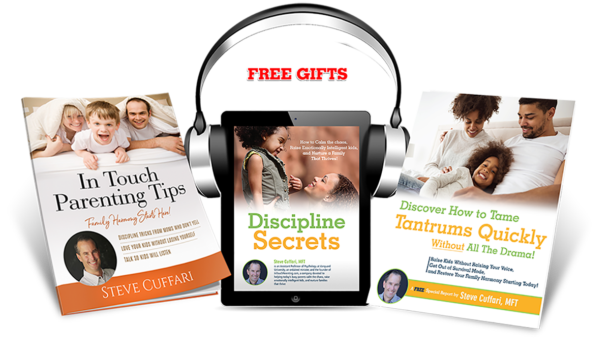 It can be exhausting when young children to throw tantrums, fight, or sulk in silence. Thankfully, there is a proven way to calm the chaos, get out of survival mode, and help children thrive. It’s called parenting with the brain in mind. By attending you’ll learn how to neutralize any outburst, argument, or fear—and do it without all the fireworks. By applying these evidence-based principles, you’ll nurture your kiddos’ emotional and intellectual development so they become calmer, happier and cooperate more! A few short years. That’s all you have to help your children understand the strong role that emotions play in how to regulate and express their wants, fears, and frustrations. Use that time wisely and you raise children who will thrive emotionally. However, let that precious time slip through your fingers, and you’ve lost your opportunity… maybe forever. In today’s demanding world, raising emotionally intelligent children is vital to their success—and so is this seminar! It’s the ultimate source for anyone needing hands-on knowledge about how to help kids deal with big emotions. By attending you’ll learn how to talk so your children will become less impulsive. You’ll also learn how to help your children develop better self-control with things like homework, angry outbursts, bedtime battles, and much more! Ever notice how frustrating it is when your little angel acts like the devil? He fusses over food, toys don’t get picked up, he says “no” to your requests, and bedtime rituals become a battle. And that’s just the beginning—no matter how hard you try, your best efforts produce a child who is a pro at throwing tantrums. The good news is that this seminar will show you how to make your parenting style better, warmer, and more fun again. You’ll learn how to disarm your preschooler from some of the most common battles. Even more, you will learn how to be the warm and empathic resource your children need to prevent emotional outbursts, arguments, and power struggles. Relationships are fragile. Words can cut like a knife and can rupture the bond of trust between a parent and child. In this seminar, you’ll concentrate on practical techniques. You’ll leave knowing: 1) How to stay cool even when you are upset, 2) How to respond if your child starts yelling, and 3) How to avoid making empty threats. Don’t miss this chance to 1) develop a parenting style that reduces your day-to-day worry, 2) helps your family bond, 3) prepare your children for life the real world, 4) and helps you relax and know you’re doing a great job! When parents disagree on parenting everyone starts to suffer. You and your partner may have your differences, but if you’re not a united front, then children learn quickly how to “play” you, one against the other. If this happens then family stress builds, children become unhappy, and you start looking for a therapist. Or, worse yet, separation and divorce become an option! Thankfully, this seminar helps you reduce the variations in how you and your partner interact with the children! By attending we’ll help you get out of survival mode so you can become and remain a united front and thrive again! Ever notice how hard it is to maintain a healthy balance between family, yourself, and work? It’s normal to feel torn and conflicted—caught up in the demands of your complex life. 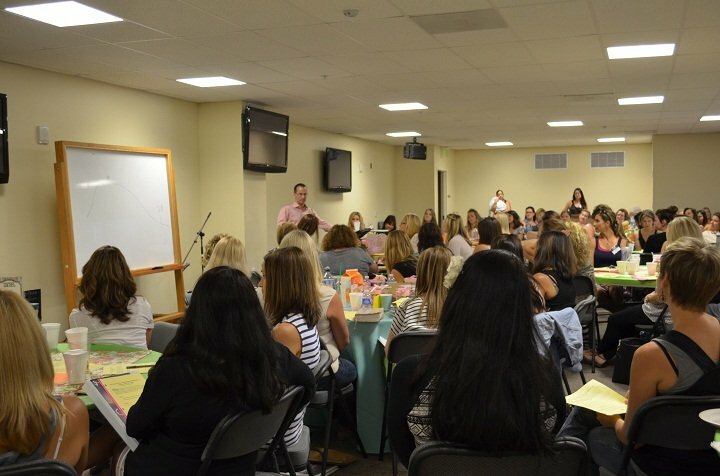 By attending, you’ll gain the tools and the help you need to restore a healthy balance in your life as a busy parent. Have you ever warned, lectured, and reminded your child to be responsible over and over again? When children remain irresponsible, it’s tempting to get upset and resort to threats and intense lectures to motivate them. By attending, we will help you develop responsible children without all the warnings, threats, or constant reminders which will help restore your energy, peace, and joy. Do your parents or in-laws drive you nuts at times? Do they meddle in your business or overstep their boundaries? They want to help. But do they to offer support that’s outdated or doesn’t match your parenting style? By attending, you’ll gain fresh ideas and new perspectives on how to get the support or space you desire and deserve from your parents and in-laws—and do it in a peaceful and calm way. 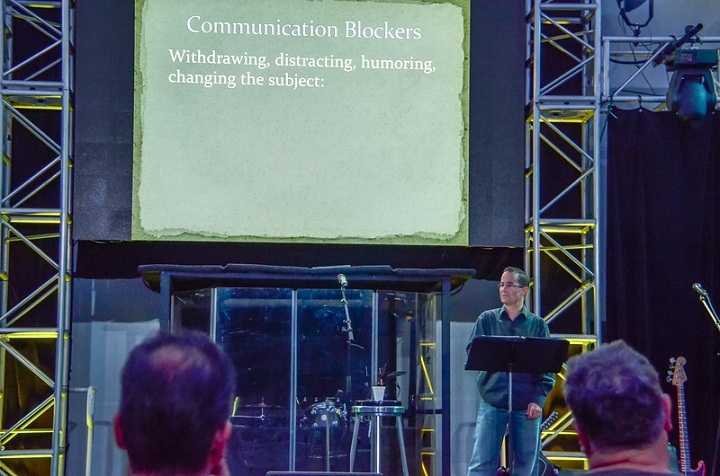 To inquire about Steve speaking at your next event, please fill out this brief form HERE.